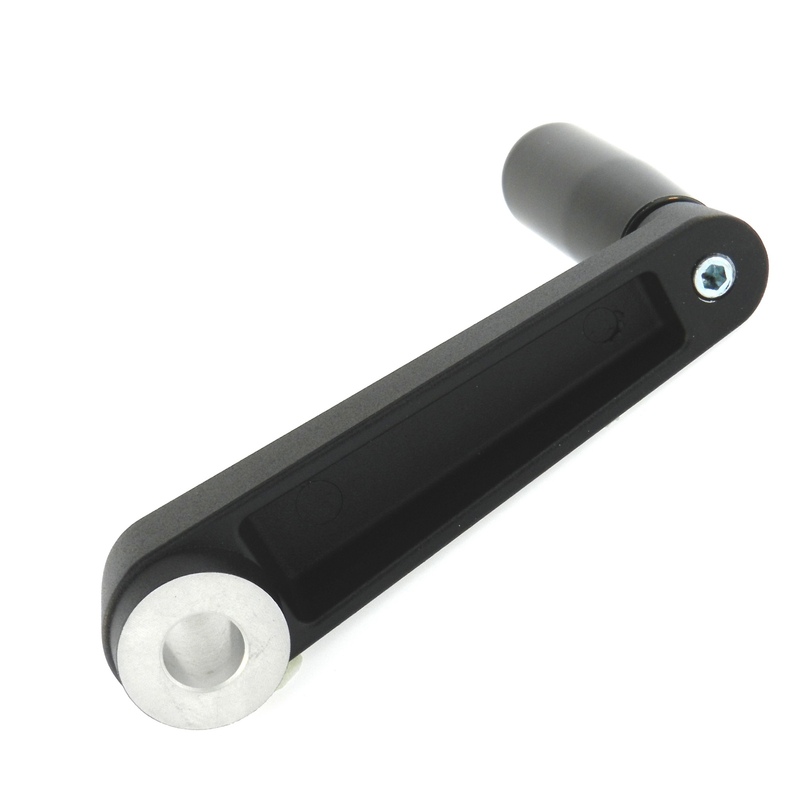 Request a quote for Aluminum Crank Handle with Revolving Handle today. 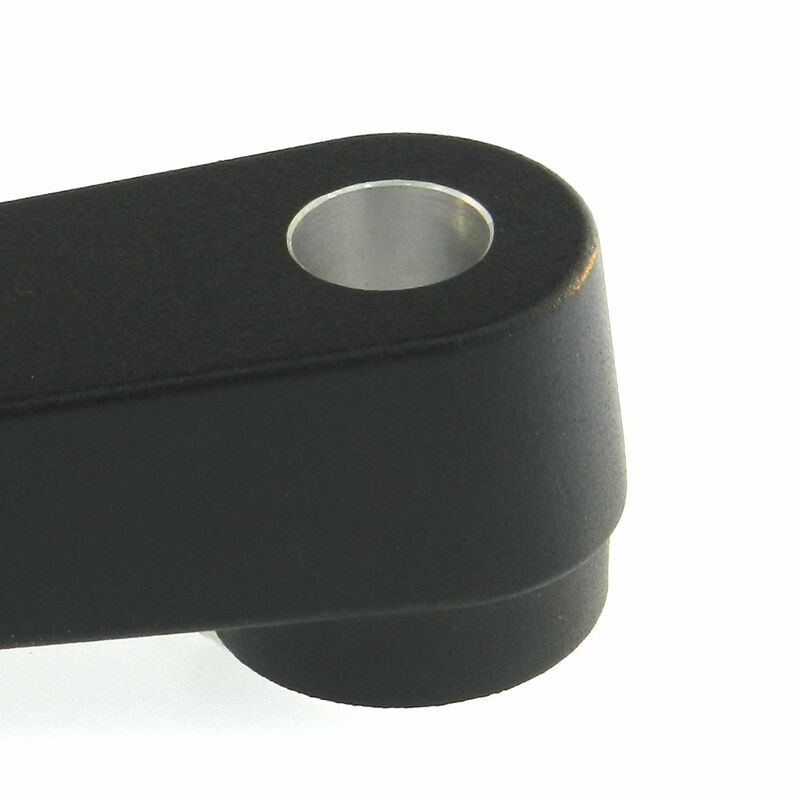 JBF National’s aluminum crank handle is designed from the finest die cast aluminum alloy, and finished with a black powder coating. 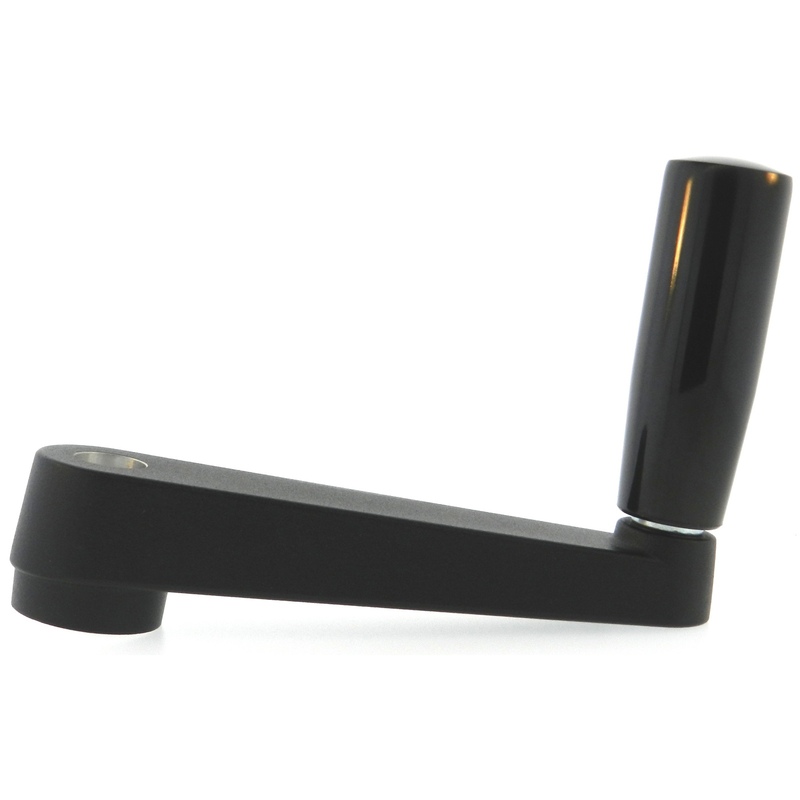 For increased safety, this model comes with a phenolic revolving handle to ensure maximum grip. 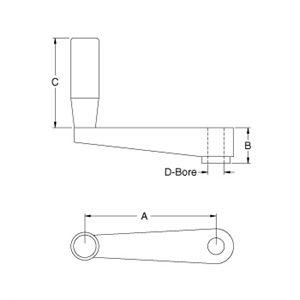 For added customization, we offer these crank handles (also known as crank arms) with custom bore sizes, keyways, and set screws. Please see component diagram below. 1AC-1008 3.15 0.94 1.97 5/16"
1AC-1010 3.15 0.94 1.97 3/8"
2AC-1012 3.94 1.1 2.56 3/8"
2AC-1014 3.94 1.1 2.56 1/2"
3AC-1016 4.92 1.34 3.15 1/2"
3AC-1018 4.92 1.34 3.15 5/8"